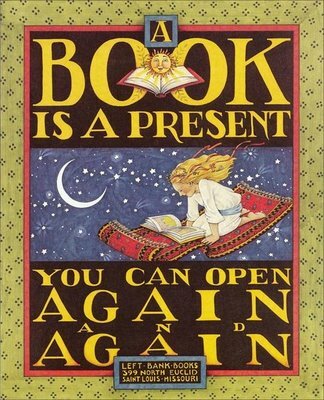 I understand the power of a book from my own childhood experience as an avid reader. I needed to escape and I was given the chance time after time. When I decided to become a writer I hoped I could offer the same escapism. But I had no idea what gifts would come back to me. The first "wow" moment was after I'd written a few Yellow Rose books. If you haven't read any, they are about an "adoption P.I." Now, this was before there was a reality show about just such a person on cable TV. Anyway, a woman wrote to me, a woman who lived in Texas and not very far from me. 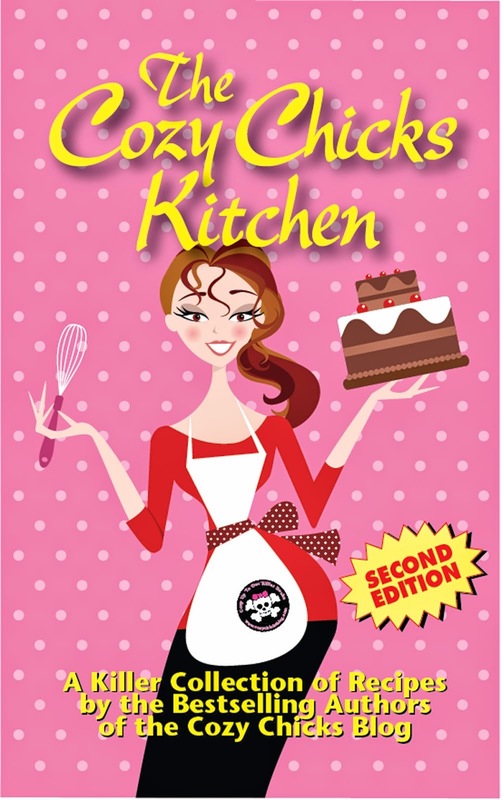 I do research for my books (yes, even for a cozy!!) and this woman read what I had written about the Texas Adoption Registry. Texas is a closed adoption state--one of the few left in the country, I might add. Adoption records can only be unsealed by court order. You need lawyers and you need money if you want to find birth parents. The registry was created to make things a little bit easier for folks on a birth family quest. A person who gave up a child can register, give as much information about the adoption as they want. But they can only be reunited IF the child also registers. In other words, a reunion has to be by mutual agreement and lots of paperwork. This woman who wrote had been searching for her mother for years, but didn't have the money or the resources to find her. She learned about the registry through one of my books and immediately sent in her information. I wish this was happy-happy story. It's a happy-bittersweet story. The woman's mother had registered and she, too, had been searching for her daughter for years. She died before the woman who wrote to me could find her. But this woman did find some peace. Her mother had wanted to find her--and that meant so much to this reader. I received an email this week about another something that came from my imagination and on to the page--quilts for cats. I had no idea if quilts like this were out there and available for purchase, but it sounded like a good idea considering how much my cats love to lie on the quilts I make. This particular email brought tears to my eyes, just like the other story did. A woman had just had her 17 year old cat put down. But the vet sent "Meow" back home to be buried wrapped in a small quilt. This woman was so touched by this that she wrote to me. 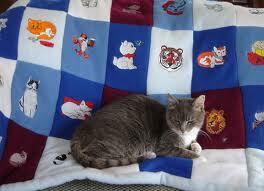 She'd read my books and knew about my quilts for cats. She wanted to make them herself to donate to her vet and wondered about size and technique. We exchanged some information and she wrote to me a few days later to say she's already made some and was ready to give them to the vet. There is comfort in a quilt in more ways than I thought. Just as there is comfort in a book. What about you? What have books done for you in some unexpected way? I've not had an experience like the ones you talk about. 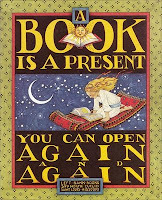 But books were certainly my refuge when I was growing up. I was never good enough for my mother, but in a book I could be, see or do anything. I think your books are wonderful and I'm glad these ladies to took the time to tell you about how you've impacted their lives. We can still be "good enough" in the world of a book, but I know you are in the everyday world, too. Reading books has opened up a whole new world for me. I've done two guest posts on an author's blog, something I would not have done a year ago. I attended cheese-tasting classes because of a book I've read and when I'm feeling low, I have my books that will take me on an adventure. And without books, I wouldn't have met you, Dru. That's pretty awesome. Bookwoman, you made me cry. I too grew up believing that I was never good enough for my mother. It shaped everything I did, said, wanted, tried ... everything. A few years ago I read Wild Goose Chase by Terri Thayer. WGC is about a young woman named Dewey Pellicano who comes back to her hometown after the sudden death of her mother, a woman whom Dewey did not see eye-to-eye with often. 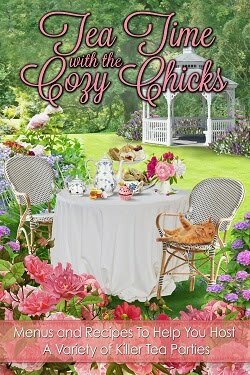 Dewey is expected to take over her mother's quilt shop and continue the legacy her mother left but she is not sure that is what she wants to do. She goes looking into her mother's death and meets with one of the town police officers, a old friend of her brother's, who happened to work the accident. At one point, the police officer, Buster, says to Dewey, "Don't you know that you were everything in the world to your mother." At that point Dewey breaks down realizing she never saw her mother the way she really was ... exactly what she thought her mother had done to her. It was a life-changing moment for me reading that line. My mother wasn't the mother I wanted her to be but she loved me in her own way. She wasn't good at showing it but she did feel it and that had to be enough for me. I had to somehow make it enough just like Dewey did. I think, as females, we all have a hard time relating to our mothers. Some are just plain bad horrible women (not sure if Bookwoman's mom was but it's a fact) who don't deserve children. Some are just caught up in trying to be that everything they think they have to be or fighting against an image someone else had for them. Mine was just sad and stuck in a life she didn't want but had no way to change as a woman pregnant at 17 in 1958. Her anger and fear that one of her children being trapped the same way displayed as harshness and the inability to accept less than perfection. It was the only way to "fix" what happened to her ... to make sure it didn't happen to one of us. But thanks to Terri Thayer writing that one sentence I was able to see that who my mother was is not who I am nor who I have to be as a woman or a mother. Wonderful post, Aimee. Now I am crying! My mother was an alcoholic, so as my therapist says, as children we sometimes live the "unspoken life" of our parents. My mother was creative and talented and it was all lost. I have been trying to live her unspoken life for a long time. That's over. Now I'm trying to understand my own. Oh my I cried at that story. It is so hard to put down a pet. How nice that vet was to do that! We had Elkie our 15 year old cat put to sleep last year. Her brother Cheerio is still going strong. I do not sew but love quilts. Those are both wonderful stories. You're killing me here. I'm going to check with my vet to see if he would like some Knitties for Kitties for just that purpose. Wow. I am guessing Elkie had a wonderful life. And Mare, that would be a wonderful gift. The ones you made for me are at the foot of my bed every night with a purring cat on top of each! Thank you again for them. Leann, my mom was a workaholic and always trying to prove that SHE was good enough. She never felt good enough and yet she always seemed above it all and perfect to me. It's telling how we all seem to struggle not to live the same life that was modeled for us. At my mother's funeral, my step-father came up to me and said he didn't understand why my mother said such awful things about me because I appeared to be a very nice person. I grew up with my nose in books to escape. I traveled to distant lands and exotic places. I sailed with pirates and climed Mt. Everest. Without those wonderful books, and the authors who penned them, I would have had to live in the moment with my mother all the time. I really believe books kept me sane and out of trouble. Today, in my sixties, I read books for enjoyment, and have grown to understand that my mother was disappointed with her life and did the best she could raising me. Something else I learned from books. I never thought that I was "losing myself" in books as I was growing up. My grandmother taught me to read when I was four; at five I was reading my brothers 5th grade reader and giving him his spelling words. Grandma gave me a gift that has been a lifelong joy. Reading these posts brings back a lot...my mother was addicted to prescription drugs ("mother's little helper") back when doctors handed them out like aspirin. She was very creative but would lose interest in a project after a short time. Reading "Divine Secrets of the Ya-Ya Sisterhood" was almost too close for comfort...I remember Mom "going to the hospital" for a few weeks and when she came home for a while we were a "normal" family. She'd get up with my brother and me in the mornings, make breakfast, keep the house clean...and then after a few weeks it would start with her sleeping late in the morning and soon we were back to basically being on our own. Reading these comments I realize that books HAVE been a refuge. I could always go to my room and read. 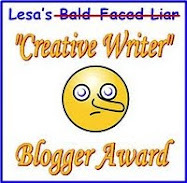 Thank you, Leann...for this blog and your wonderful heart that shows in your writing. The most recent thing a book did for me was gave me an idea of where to have my 40th birthday dinner. I read, "The Frog Prince" by Jane Porter which is set in San Francisco. My hubby and I were going to be there (him for a conference, me to play and celebrate my birthday) and she had a scene with a cool Polynesian restaurant in it. So, we ended up eating there for dinner and it was a lot of fun.